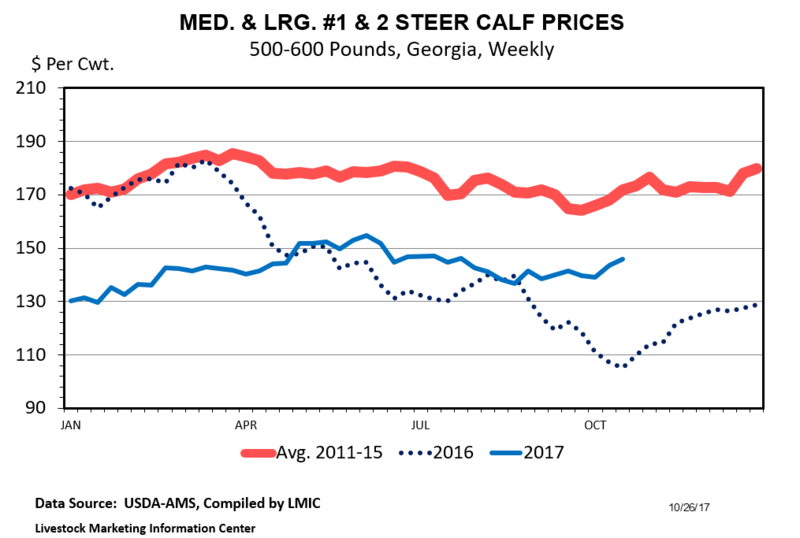 Board prices for feeders and fats have been quite strong in the past few months and Georgia producers have seen similarly strong prices in our cash markets, relative to seasonal expectations. The typical seasonal downward slide into October and November has not appeared and prices have been more or less flat since the summer. One of the threats to strong prices in coming years is a continuation of herd expansion. David Widmar, an ag economic s consultant with Agricultural Economic Insights, did a great job recently of digging into the state-level inventory numbers to see if we will see continued expansion through 2018. 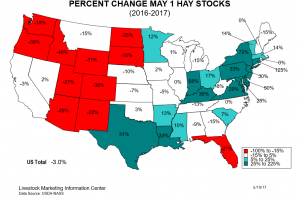 Ad Widmar notes, Texas cattle numbers made up a large percentage of the recent inventory decline and have also made up a large percentage of the recent increase in inventory. However, Texas has not fully recovered its previous inventory level, so there is still some growing room out there, indicating that we will likely see more herd expansion. You can read Widmar’s full analysis by clicking here. 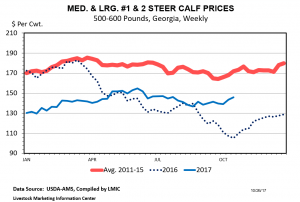 This year, strong demand and low feed costs have helped buoy prices despite continued herd expansion. 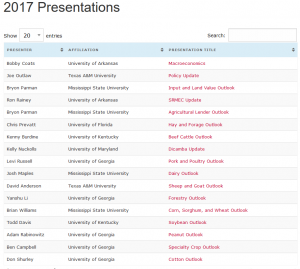 Time will tell if continued demand strength will absorb the price-reducing effect of larger beef supplies. One important financial aspect of cow-calf production is evaluating replacement decisions. Whether you always hold back your own replacements or look for opportunities to expand when the price is right, it’s crucial to take an objective look at the profitability and feasibility of your investment. To help producers with this task, we’ve developed a decision aid (available here) that will allow you to examine a range of replacement female scenarios. I recommend looking through the red triangles in the upper right corner of the key cells to get an idea of how the spreadsheet works. Posted in Beef Cattle, Finance.